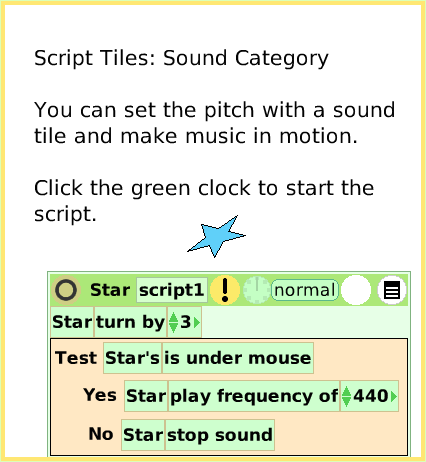 Text of this guide (for searching): Script Tiles: Sound Category You can set the pitch with a sound tile and make music in motion. Click the green clock to start the script. 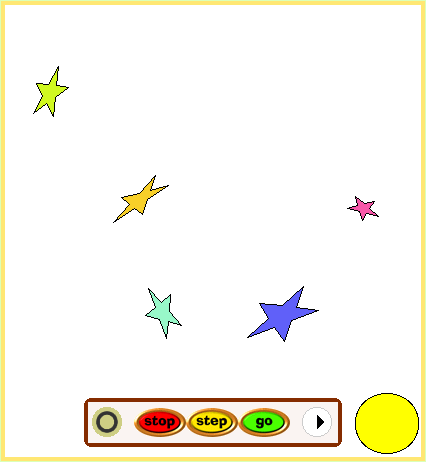 Click on a Star in Supplies and open its Viewer. 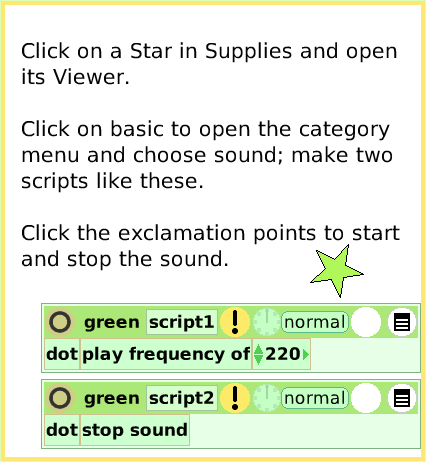 Click on basic to open the category menu and choose sound; make two scripts like these. Click the exclamation points to start and stop the sound. 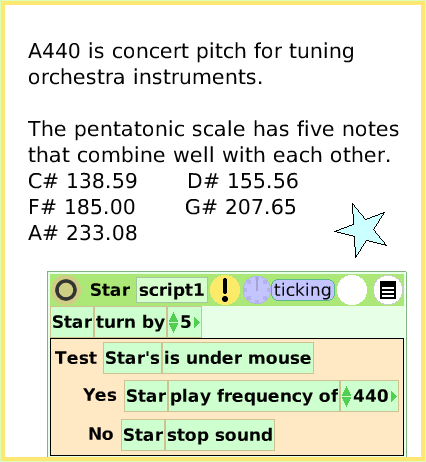 A440 is concert pitch for tuning orchestra instruments. The pentatonic scale has five notes that combine well with each other. C# 138.59 D# 155.56 F# 185.00 G# 207.65 A# 233.08.